When I touched down in Barcelona, my first thought was, well, I could just sit here and sleep since I am really exhausted. But then, I stored away my luggage at the airport, and sucked it up, and well, went for it! Who knows if or when I will be back, and I felt like it was a kind of carpe diem moment! So off I went and a bus dropped me off in the middle of a big city that I literally knew NOTHING about. Thank goodness for Facebook, REALLY! 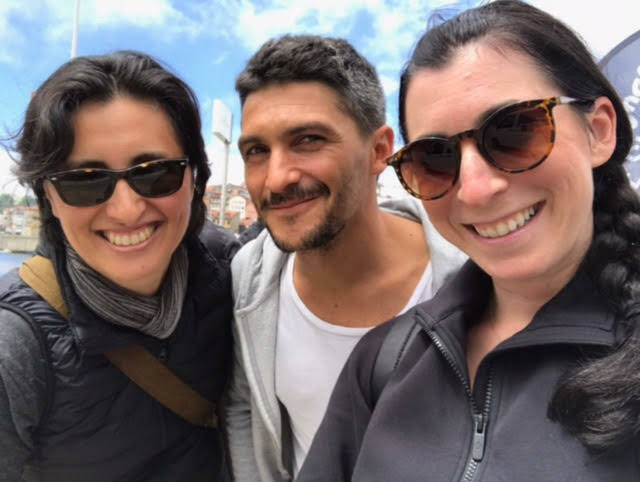 A few days before my arrival, I asked my friends for recommendations of what are the ‘must sees’ of Barcelona and luckily, they enlightened me on all things Barcelona! I absolutely LOVED Barcelona! It is an old city, with a lot of modern conveniences. The people seemed friendly and were more than happy to help a lost tourist, such as myself! 🙂 I enjoyed it so much, that I plan on going back and experiencing more of the city and adding on Madrid as well. 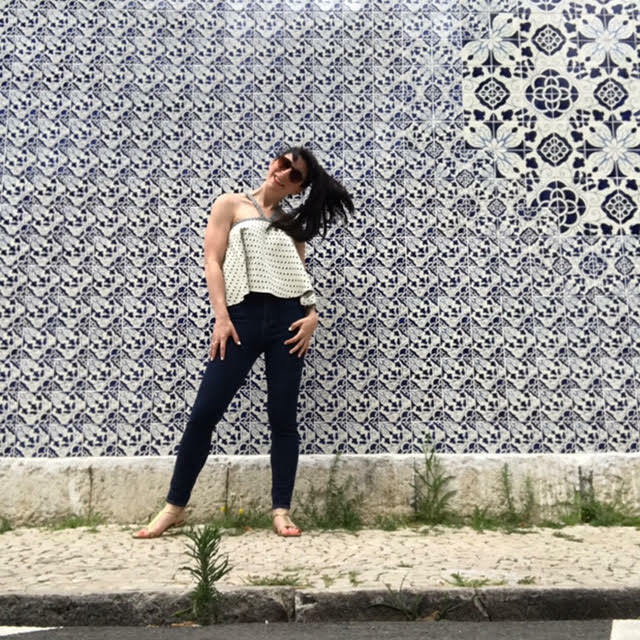 When I arrived to Lisbon, I really hadn’t pre-planned a lot for this trip. 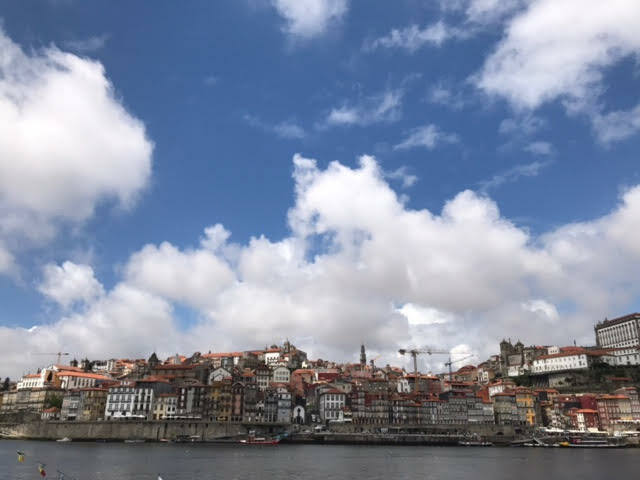 I only booked a ticket to Porto for a day, one day tour in Porto, and a one day tour in Lisbon, other than that, everything was pretty up in the air! no windows, just the wind blowing in my hair, and zipping through the city, in this little yellow buggy. He drove me to Belem to see the tower, which was built in the 1500’s and used as a fortress to protect the harbor. 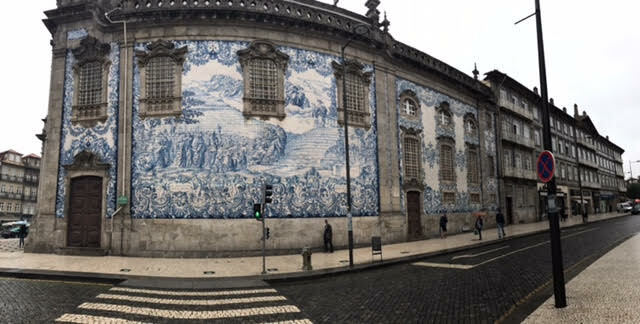 It was a beautiful building, and there are also several art murals and pieces as you drive to Belem that I recommend you stop and take a look at. We also stopped at the Monestary of Jeronimos. While I didn’t go inside, the architecture is quite phenomenal and the details of the building are incredibly intricate and ornate. The food scene in Lisbon is incredibly different from what I am used to in the U.S. (in a good way!). 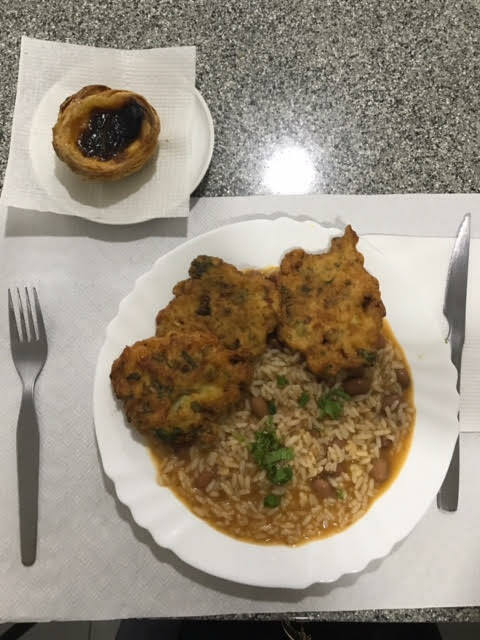 In general, Portuguese food is very clean, and they typically do not use a lot of sauces or spices, but rather they enjoy tasting the true flavor of the food. I went to a few restaurants, but by far, my favorite was a mom and pop shop I came across while walking in the Al Fama neighborhood. 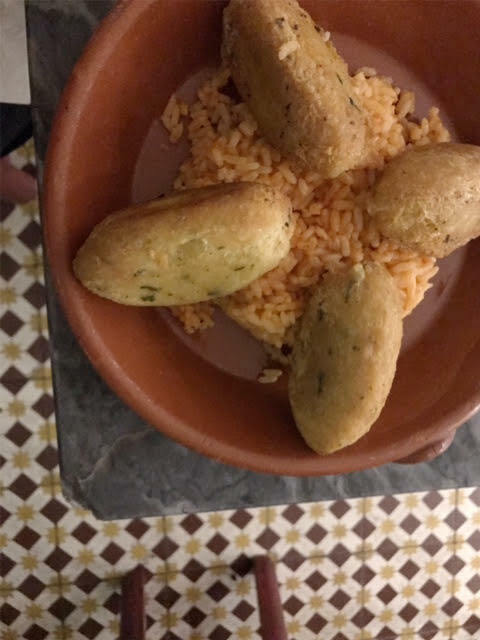 I walked by, heard a couple that was sitting outside speaking Portuguese, and saw what looked like a latke with rice and beans. If you know me, rice is a staple in my diet, so this was right up my alley. I walked in, there was a little girl wandering around, and the owners didn’t speak a lick of English. I literally pointed to the couple sitting outside and said I want THAT. And he shook his head with approval and went on his way to make my lunch and this is what I got below. One of my most memorable meals was at a restaurant Principe do Calhariz. It was classic Portuguese food and had a large menu full of a variety of foods including seafood, meat, and a wide array of desserts. 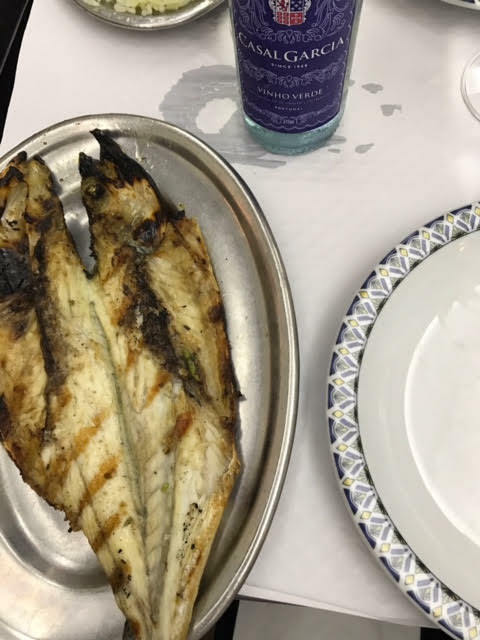 One of the things that was not so great for me, but will be wonderful for most of you, if you ever go to Lisbon, is that the seafood is incredibly fresh and the prosciutto looked amazing, and I NEVER say that about pork. If I ate shellfish and pork, I would have been in HEAVEN here, it truly looked amazing! 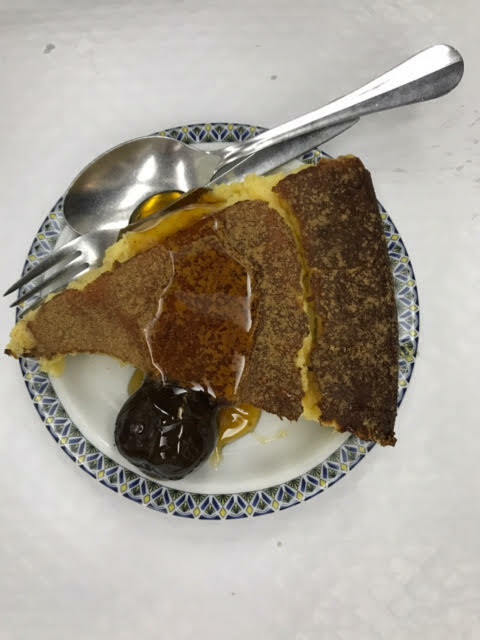 I ate grilled fish and a side of vegetables with this custard filled pie. It was healthy and very tasty! Cod Fish is another staple food in Portugal. Unfortunately, this particular preparation of cod fish didn’t exactly appeal to me, but hey, don’t take my word for it, just try it for yourself! They are cod fish fritters, which in my opinion, have a very distinct fishy taste… BUT again, you should definitely try it if you go to Portugal! This particular meal I had was at a restaurant in the Barro Alto neighborhood, where I went to listen to Fado. Fado is an art form where songs are sung in a particularly emotional tone. It was quite beautiful, and if you are ever in Lisbon, I definitely recommend that you find a restaurant that has it. On my last night in Lisbon, I sat there for a couple of hours, enjoyed the Fado, had a glass of port wine, and ate my fritters. It was truly a perfect last night on my journey across the world. use them by a friend of mine, and I must say, they did not disappoint! I would have taken another tour with them if they weren’t all sold out! My tour guide was absolutely amazing. He was the owner of the company, and you could tell this was his passion and he loved what he was doing. 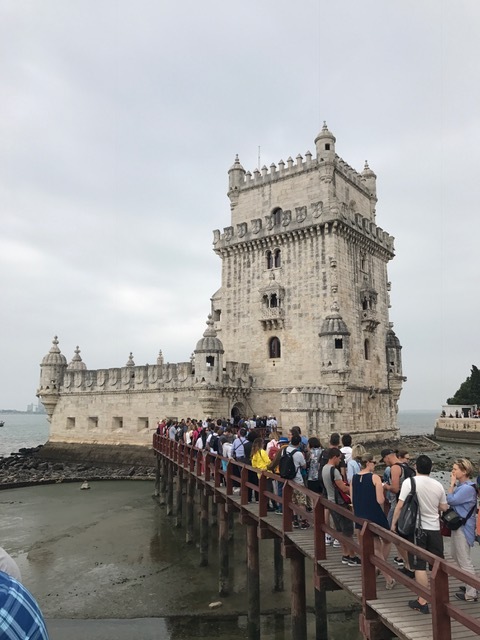 Oftentimes, when you take an organized tour, and I have taken many, you are made to feel like you are going to the normal touristy places that everyone goes to, and the tour guide isn’t exactly thrilled to be going there for the 100th time. My guide, was the opposite of that, even though the weather wasn’t optimal that day, he truly made the best of it and his positivity and love for his city was palpable. 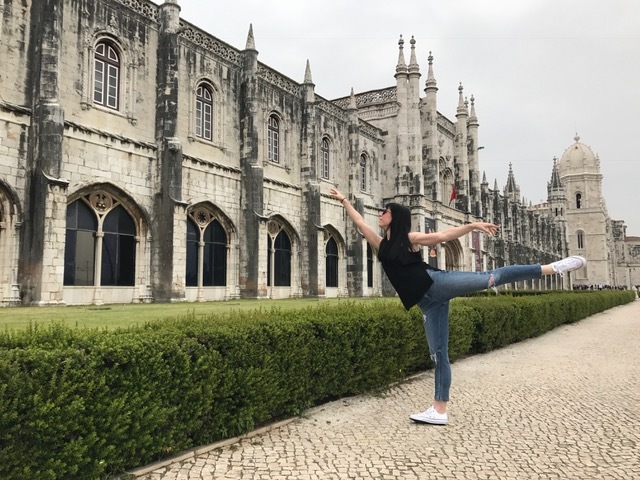 We walked around the city, went to a church, saw the beautiful colored tiles on the wall, drank port wine, walked along the beach, went to a beautiful park, saw visited the performance center, and ate at a quaint restaurant. All while he shared his personal experiences of growing up in Porto, and his frank opinions about the pros and cons of Portuguese society. It was incredibly informative and I truly enjoyed visiting this beautiful city with such an enlightened tour guide. breathtaking places and I definitely recommend that you take a trip to see each of them! 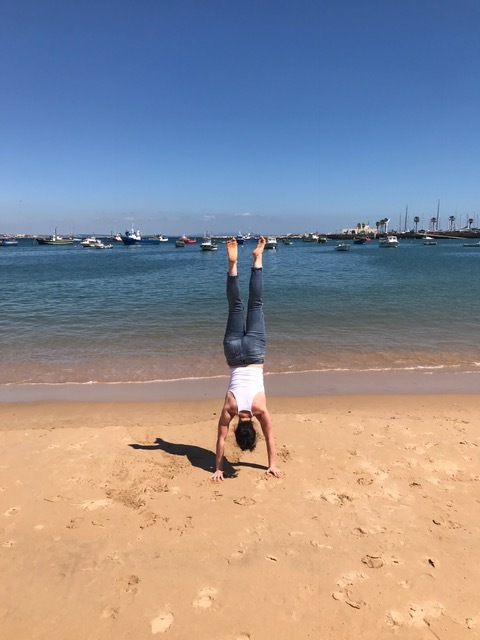 One thing I would have changed was that I wish I had more time in Cascais. While I was walking around this quaint town with restaurants and stores galore, I came across a bed and breakfast that looked as though it belonged in a fairy tale book; I would go back, just to stay there! And you MUST go to this gelato place called Gelados Santini, that is truly one-of-a-kind. It was so fresh, smooth, and flavorful, and honestly, the gelato there was better than anywhere I have tasted in the world, including Italy! top of a mountain, where the Portuguese royalty used to live. The architecture, views, colors, tiles, and rooms were absolutely stunning. 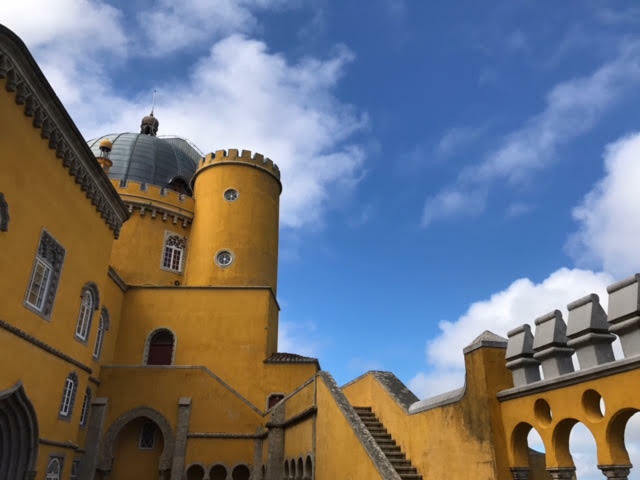 I met a guy who took a few hours and hiked up the mountain to get to the castle, and while I didn’t have the time to do that, the ride up there was spectacular and if I had the time, I would have hiked it myself! speak with. Personally, I enjoyed the fact that it is just now gaining traction in the tourism industry, whereas most European countries are overrun with tourists year round. I spoke with several locals who were concerned about what tourism would do to the country and how it would cause the prices to rise on everything, most noticeably real estate. In the neighborhood I was staying in there was graffiti which said, ‘say no to Airbnb’, from what I gather, because there are so many people buying properties and renting them out to tourists, it is increasing the rent of the locals. While this is good for the economy, it seems as though Portugal in general, is very uneasy about the rapid growth and it seems as though they don’t mind not being a rich country. Whether you agree with this sentiment or not, I recommend that you go there, before it becomes more gentrified, to experience a little bit of what a true old world European country is like. I am so very lucky that I had this experience traveling for two weeks by myself, it was filled with many highs and a few lows, but I learned a lot of things during my trip and I think the most important one is that I can do and accomplish anything, as long as I put my mind to it, and this trip is proof of just that. For many people, traveling by yourself isn’t really an accomplishment, but for me, it definitely is. I have overcome a lot of obstacles and worked incredibly hard this year in order to be able to not only afford going on a trip like this, but mentally be by myself, for two weeks, and just being OKAY. I am SO proud of myself and I will keep pushing forward, keep persevering, and continue doing what I love in life. 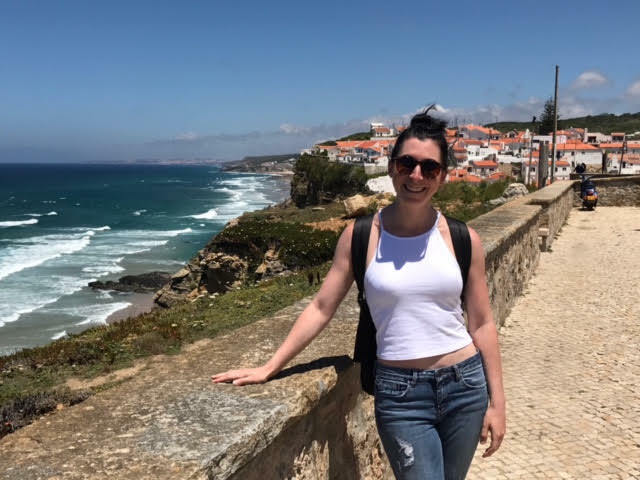 THANK YOU for following me along on my journey to Israel and Portugal! I hope that you enjoyed it, and if you ever need any recommendations for either place, I am more than happy to help!